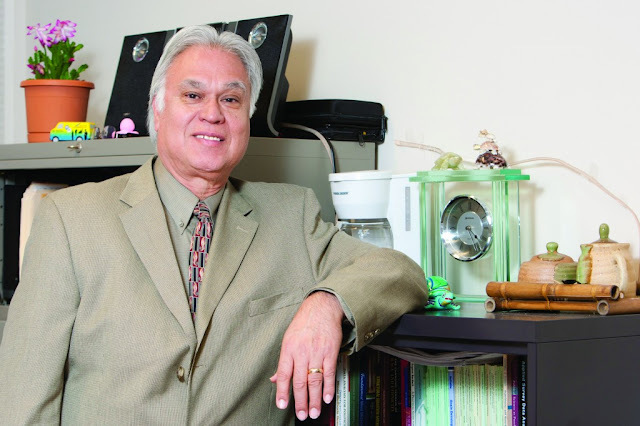 Dr. John Garcia’s trajectory is typical of other Chicanos from that era. He was born in San Antonio and upon graduating from high school a teacher happened to mention that he should go to college, John never having really considered going to college before then. He went and upon graduating a professor mentioned that he should consider graduate school so he investigated a couple of schools and ended up going to Florida State. I say it’s typical for that generation because expectations for a college education, much less to become a professor at a university were not generally nurtured in barrio homes. Also typical is that he had to work to support himself, in his case by working at a gasoline station. He received a Ph.D. in Political Science and got an opportunity for a post doc. at Northwestern. It was here that he began to see more clearly that his interests in Latinos was a topic that would require hands on research as primary or even secondary sources were not available to scholars. Luckily for John this was during the late 1960’s at a time when free health clinics were being operated in Chicago by The Black Panthers, the Brown Berets, The Young Lords and by The Young Patriots and every week he began volunteering one night at each of the respective clinics. He helped at the clinic but he also collected data, as health was one of the topics that interested him. In 1972 he was offered a teaching position at the University of Arizona in Political Science where he joined the handful of Latinos already there or that soon joined him: Renato Rosaldo, Adalberto ‘Beto’ Guerrero, Arnulfo Trejo, Macario Saldate, Celestino Fernandez, Joe Sanchez, Romaldo Juarez, Iliana Suarez Rivero and Arminda Fuentevilla. Again he found himself needing to hit the streets to gather material for the publications that he was expected to generate. What he stresses to me is that he never saw boundaries that would restrict him from tackling an area of study that had his interest and this is borne out when one looks at his eclectic publications at the end of this article. Perhaps also typical of Latino academics is that has continued to seek involvement in the community not only for his research but merely to help out. He tells the story of helping Congressman Raul Grijalva back when Raul was first seeking a local political office in Tucson and based on his research, he advised Raul on how to structure his campaigning efforts to maximize results and minimize effort. That advise led to Raul’s first election. 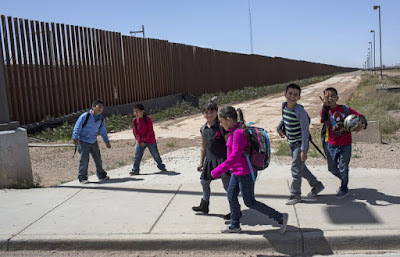 US Citizens Living in Mexico Going to School in Columbus N. M.
He left the University of Arizona in 2009 to join the Institute for Social Research at the University of Michigan at Ann Arbor. He retired in 2014 and returned to Tucson where he volunteers with his church assisting Latino Refugees seeking asylum in the US. His church provides temporary food and shelter and assists them with transportation to their ultimate destination. 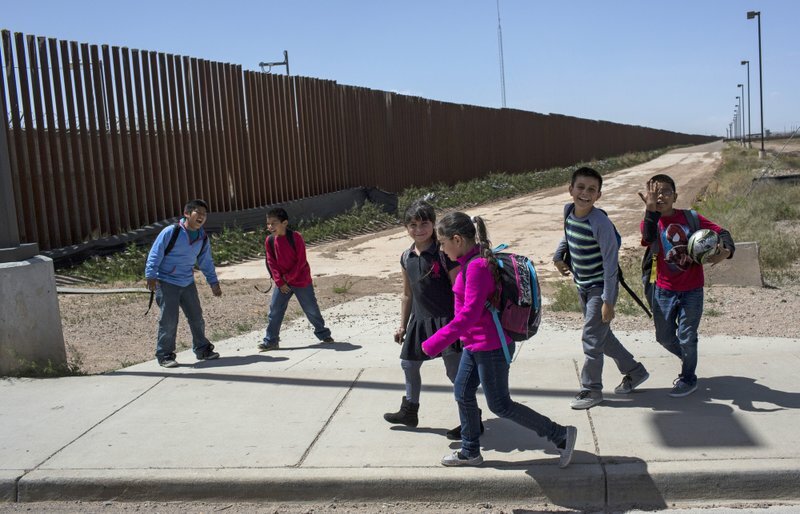 Regarding his research he is currently investigating the situation of children who are US citizens living in Mexico and also of US military vets living in Mexico. Below one can see how extensive has been his scholarship. He has published articles in Political Science journals as well as journals in Sociology, Health, and Public Policy. He has coedited three other books, as well as lectured extensively on university campuses. He served as one of four co-principal investigators of the Latino National Political Survey (LNPS). Earlier he served on the research staff of the National Chicano Survey (1979) at ISR/University of Michigan in which both projects represented the first national probability surveys of Latinos and Mexican origin populations conducted. 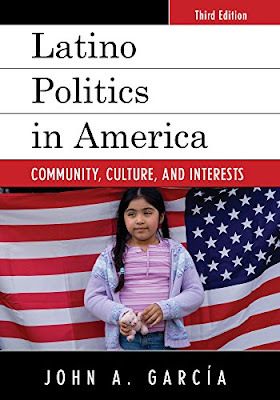 More recently, his research has been focused on coalitional formation between the Latino and African American communities; coalitional efforts within the Latino communities; and alternative voting systems and minority representation. He was Co-Chair for the 1999 American Political Science Association in Atlanta. He has served on the Executive Co1 Political Science Association, and recently completed his term on the National Science Foundation Advisory committee to the Social, Behavioral and Economic Sciences Directorate. He is a member and recent past Chair of the U.S. Bureau of the Census 2000 Advisory Committee on Hispanic Populations since 1996. He has been active in local and county government, local school districts by serving on a number of boards and commissions. He serves as a �resource� person for both the local and statewide newspapers, and, other news media on American politics. Finally, he has worked on redistricting plans following the 1980 and 1990 Censuses for several states and jurisdictions.